Nicki Pau Preto, author of Crown of Feathers, will be signing in the Simon & Schuster Canada booth #605/607 on Friday at 11:00 AM. An Ember in the Ashes meets Three Dark Crowns in this lush debut fantasy novel about a girl who disguises herself as a boy to join a secret group of warriors that ride phoenixes into battle. 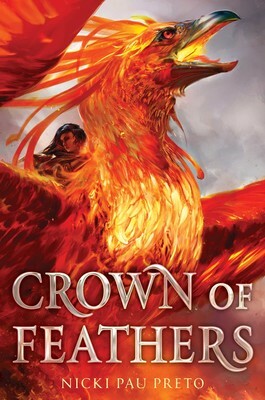 Crown of Feathers is an epic fantasy about love’s incredible power to save – or to destroy.